PRO SE NATION invites you to take a new road to explore the landscape of legal and justice issues for yourself. 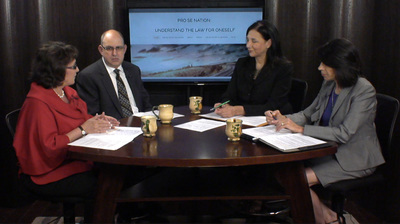 Join us for our Pro Se Nation program exploring telemedicine and the law beginning Thursday, July 27, 2017 at 7:30 p.m. streaming & broadcast on Princeton TV (www.princetontv.org). Healthcare professionals are now able to diagnose and treat patients at a distance, but what are the legal implications? How does this new way of treating patients impact patient rights? Is there legislation that is supporting and promoting telemedicine? The program will be available online and on Comcast Ch. 30 and Verizon FiOS Ch. 45 in the Princeton and central New Jersey area throughout August every Monday night at midnight and every Thursday night at 7:30 p.m.
MaryLynn Schiavi, host & executive producer & Terri Roth Reicher, explore advance directives & end of life issues. Ms. Reicher earned a BS degree at the Wharton School of Finance and a Juris Doctor degree at Vanderbilt University. She holds an advanced law degree from Seton Hall University School of Law, where she was a member of the first LLM class in Health and Hospital Law. She writes and lectures frequently on issues in Bioethics. She serves as a Bioethics Attorney for Chilton Hospital, a member of the Atlantic Health System and is an Adjunct Professor of Law at William Paterson University. She previously taught at Seton Hall Law School and at the Thomas Jefferson University School of Medicine. 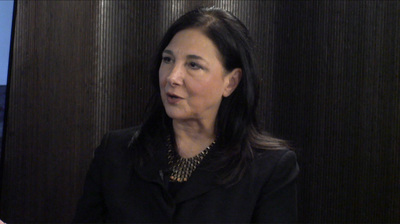 Ms. Reicher is a leader in the Alternate Dispute Resolution (ADR) community with a private practice specializing in commercial disputes and elder mediations. She is the 2016 recipient of the Jeydel Award for Professionalism, Ethics and Service to the ADR community. She is a trainer for the NJAPM (NJ Association of Professional Mediators), was an officer in the NJSBA (NJ State Bar Association) Dispute Resolution Section, a charter member of the NJ chapter of the National Association of Distinguished Neutrals and is immediate past President of the Marie Garibaldi ADR (Alternative Dispute Resolution) Inn of Court. Ms Reicher raised her three children Eric (Princeton ‘00), Larry (Princeton ’05) and Michelle (Brown ’07) in Wayne. She currently lives in Pompton Lakes with her husband, Dr. Oscar Reicher where she serves as Borough Council President. She is Vice Chair of the Redevelopment Agency and is liaison to the borough’s Board of Education. In her “spare” time she loves playing with her five grandchildren. Do we have unbridled free speech in America? Can we say whatever we want on social media and at political rallies? What exactly does the First Amendment protect and when does our speech become punishable by law? Dr. Ronald K. Chen, Co-Dean of Rutgers Law School in Newark, New Jersey joins Pro Se Nation producer MaryLynn Schiavi to explore our most fiercely protected right. Dr. Chen is the former Public Advocate of New Jersey. As Distinguished Professor of Law, he teaches first year contracts, federal jurisdiction, and litigates civil rights and civil liberties cases in the Constitutional Rights Clinic. He is an active lay leader with the American Civil Liberties Union and serves as Chair of the New Jersey Supreme Court Advisory Committee on Professional Ethics. ​Streaming for one month beginning Thurs. Oct. 27, 2016 on Princeton TV at 7:30 p.m. ET. Streams every Tues. at 12:01 a.m. and Thurs. at 7:30 p.m. ET. Broadcast available in central New Jersey on Comcast Ch. 30 and Verizon FiOS Ch. 45. 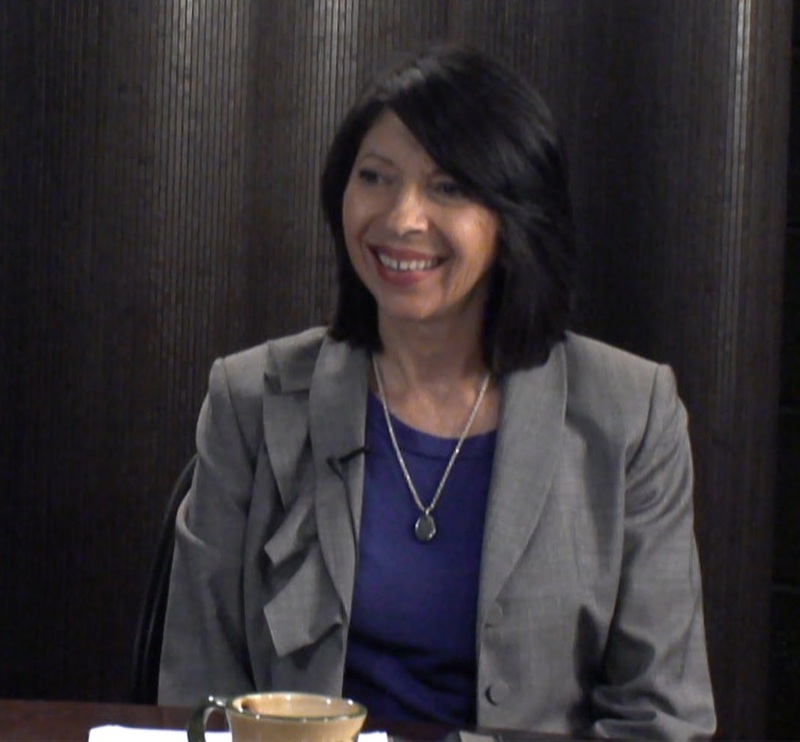 The PRO SE NATION TALK SHOW DEBUTED on Tues. Sept 8, 2015 on Princeton TV. The 28-minute programs have explored a wide range of topics listed below. You can also listen to the podcast of selected programs below. HOW WOULD YOU ASSESS THE HEALTH OF THE AMERICAN LEGAL SYSTEM TODAY? WHAT SHOULD EVERY ENTREPRENEUR KNOW ABOUT THE LAW? SHOULD ALL EMPLOYEES BE PROTECTED UNDER OUR WHISTLEBLOWER LAWS? WHAT SHOULD EVERY CONTENT CREATOR KNOW ABOUT THE LAW? ​IS DIVORCE WITH DIGNITY POSSIBLE? IS MEDIATION A BETTER WAY TO RESOLVE OUR DISPUTES IN THE 21ST CENTURY? WHO WINS AND WHO LOSES IN CLASS ACTION LAWSUITS? EMINENT DOMAIN LAW: WHAT ARE YOUR OPTIONS WHEN 'THE KING' WANTS YOUR PROPERTY? 'THE KING' IN THIS CASE IS THE GOVERNMENT. IS THERE A BETTER WAY TO APPROACH CONTRACTS? WHAT WOULD JUSTICE IN AMERICA LOOK LIKE IF LAWYERS VIEWED THEMSELVES AS PEACEMAKERS? ​ Programs stream on Princeton TV every Monday night at midnight and Thursday at 7:30 p.m. at www.princetontv.org. Programs are also available on demand on the Princeton TV website and on YouTube. ​Guests: Mediators Anju Jessani and Alan Karmin and Mediator, Arbitrator and Attorney Mary Ann Bauer join producer MaryLynn Schiavi to explore: the biggest mistakes made when couples begin the divorce process, the role emotions play in the process, mediation vs. collaborative family law approaches, the value of prenuptial agreements, and what to consider if you choose to go 'pro se' or self-represent -- without an attorney. Pro Se Nation explores 'Divorce with Dignity' - 28 min. from MaryLynn Schiavi on Vimeo. Eminent Domain Law: What are your options when ' the king' wants your property? When the government seeks to invoke eminent domain because your property is needed to serve the public interest, what are your options? 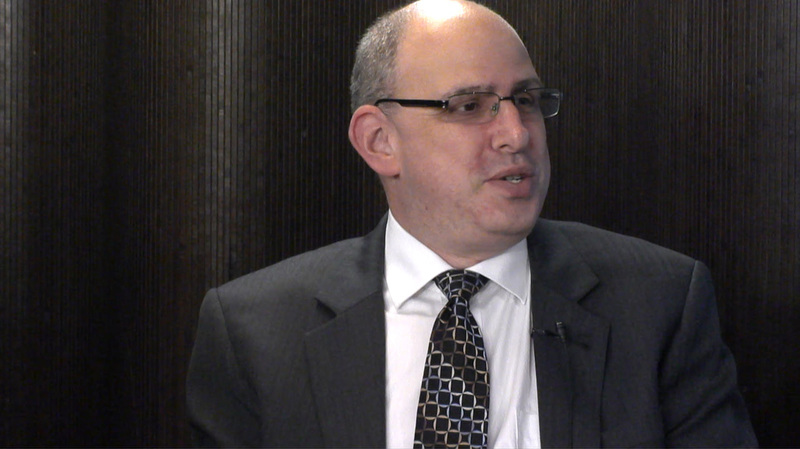 Guests are attorneys Blake Davis and Robert Lipschitz, who specialize in eminent domain law in New Jersey, share their insights and experience. Learn about Eminent Domain Law on Pro Se Nation (2 min. promo) from MaryLynn Schiavi on Vimeo. Who wins and who loses in class action suits? Pro Se Nation explores Class Actions Suits: Who wins and who gets left behind? from MaryLynn Schiavi on Vimeo. What should every entrepreneur should know about the law? 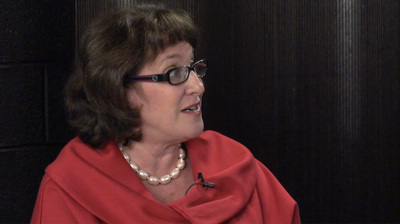 Is mediation a better way to resolve our differences in the 21st century? Do we have access to justice in America today? 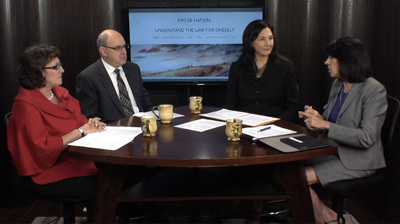 In this inaugural program of Pro Se Nation: understand the law for oneself, host/ producer MaryLynn Schiavi seeks the perspectives of three New Jersey attorneys about the health of the American legal system, access to justice for the average citizen, the experience of the self-represented or pro se litigant, and the cost of justice today. Featured guests are: Mary Ann Bauer, Esq, Noel Crowley, Esq. and Howard Matalon, Esq. . Length 28- minutes. Seeking content contributors & sponsors! If you would like to submit and article or video to be published on Pro Se Nation.org, appear on the Pro Se Nation talk show filmed at Princeton TV or you would like to advertise on our site, please contact us through the following form.